Today we create this lovely hydrangea cupcakes. Which are very simple if you have the right piping tip. Just bake some cupcakes of any kind you like. 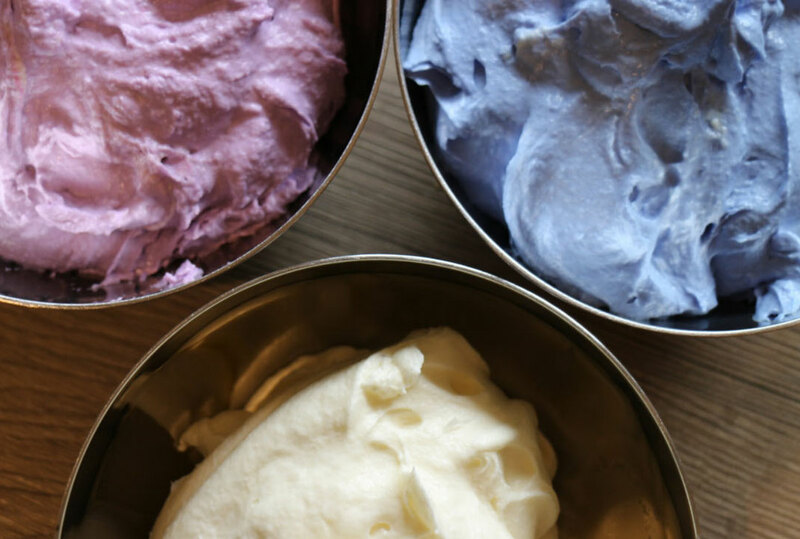 After your cupcakes are cooled down you prepare some white frosting and dye about 2/3 of it in a color you prefer. As I couldn't decide I choose for one 1/3 blue and the other one violet. Now you need 2 piping bags prepared with Wilton tips 2D. 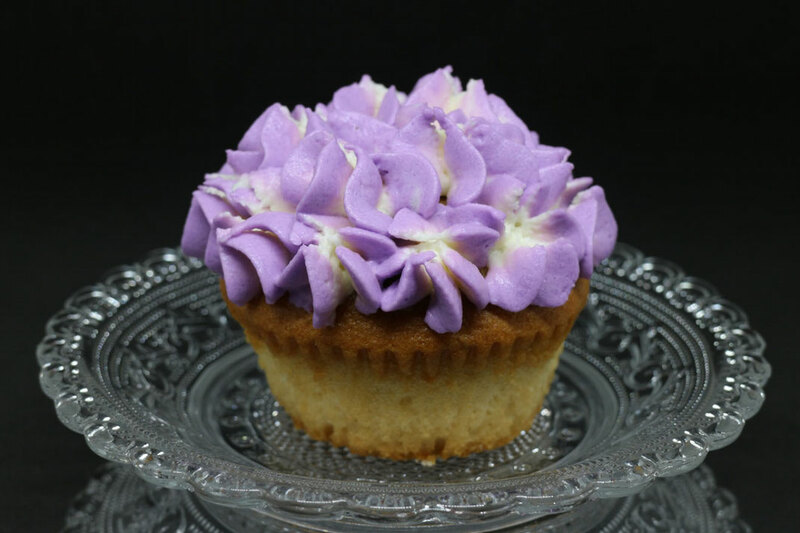 To get this typical hydrangea look you need to put the colorful frosting on the side of the piping bag with a spatula and afterwards fill the white frosting into the middle. 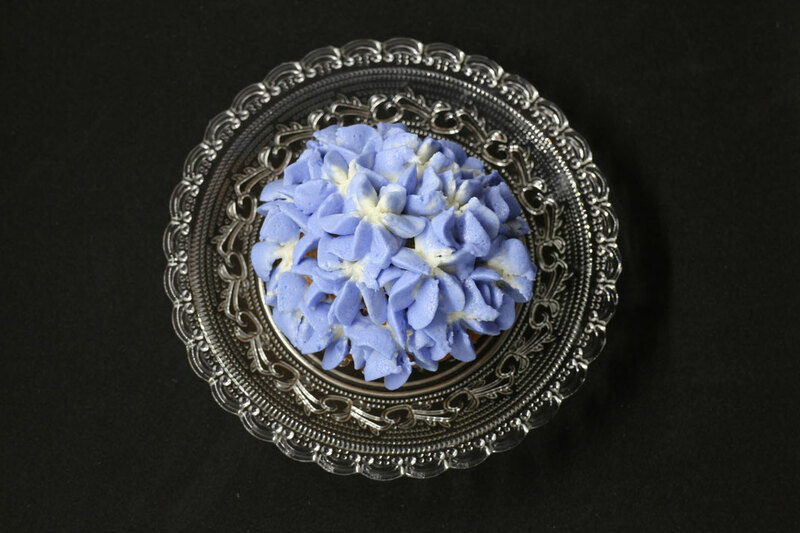 After piping, some of the frosting into a bowl you will get this lovely flowery look. Now pipe the blossoms on the cupcake very close to each other and rotate the bag slightly while piping.